Description: This Lampe Berger catalytic burner called the Air Pur System 3C features improved fragrance diffusion and quality with more effective air cleaning. 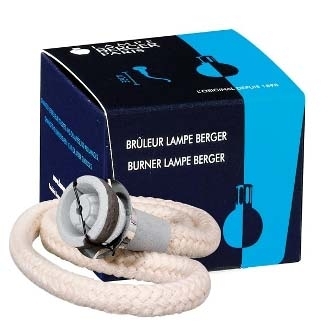 This burner is the best performing of all Lampe Berger burners but unless used properly is not necessarily the most reliable. Keep burn times down to thirty minutes or less. Use only Lampe Berger fragrances--other fragrances will immediately clog and ruin this burner whose pores are so small it takes an electron microscope to see them. Do not allow a lamp using this burner to run out of fragrance. This can shorten the life of the burner.